Do you know where your true roots really are? 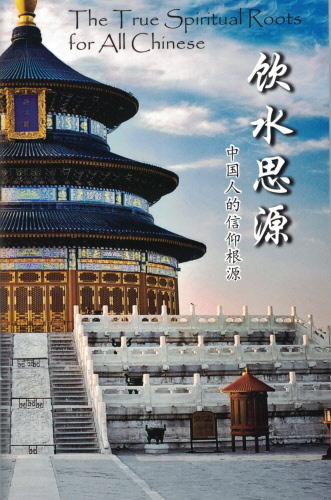 Through historical comparison and discourse, this booklet explains the true spiritual and religious roots of the Chinese people. 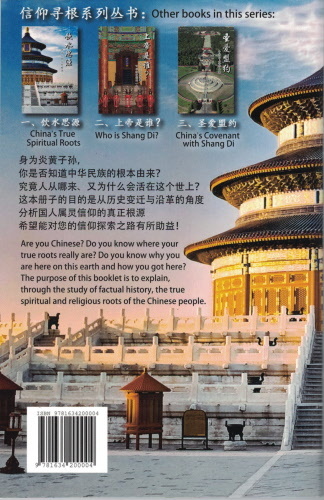 Are your true spiritual and religious roots found in Buddhism, Taoism, Confucianism, Atheism, or even Christianity!? 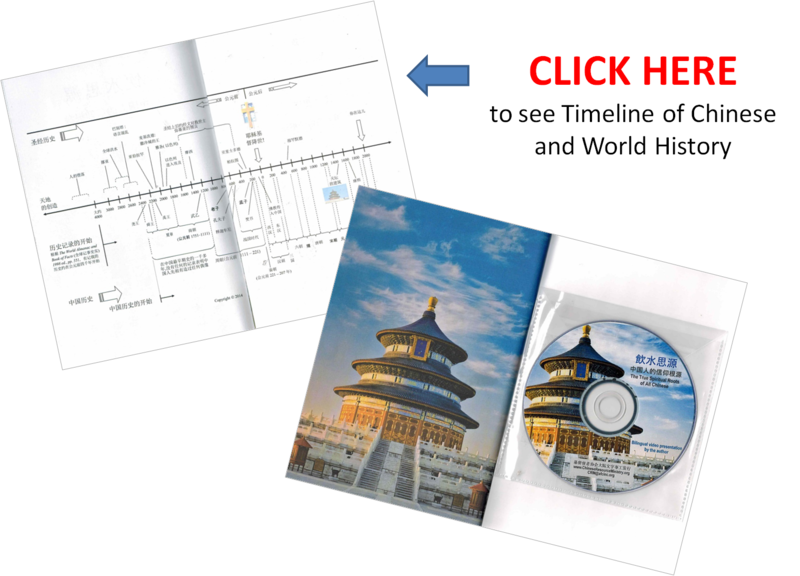 You will find out the exciting answers to these questions and more in this 30 page booklet! 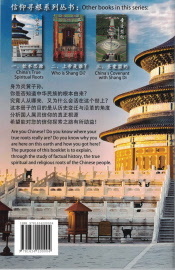 The new edition is bilingual and includes the website and QR code to a 60 minute video presentation! This is a powerful evangelistic resource! 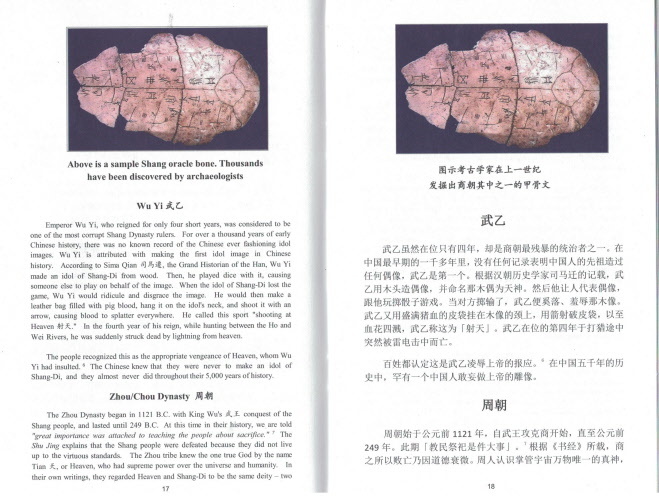 How did the Chinese know that Shang-ti accepted only blood and burnt sacrifices? 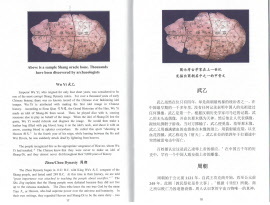 How is it possible that the Chinese have a custom of offering sacrifices to Shang-ti so similar to the Jews' sacrifices to Jehovah? How did the Chinese know that they were NOT to make an idol of Shang-ti? 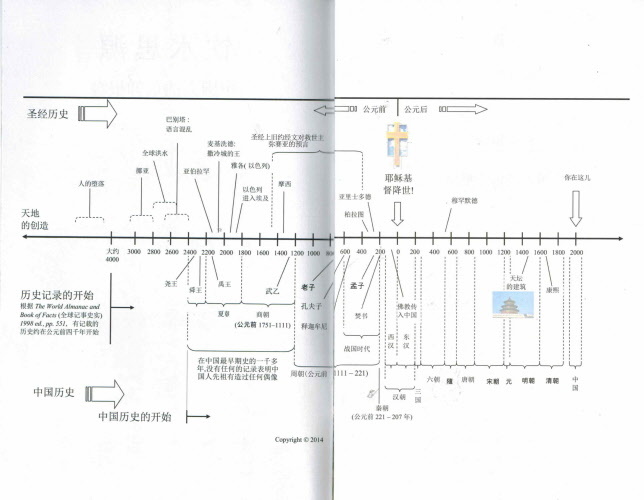 The historical account found in the Holy Bible agrees amazingly well with the account found in Chinese history! 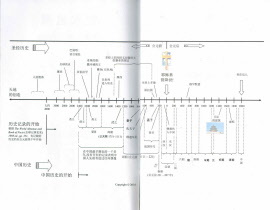 These practices began with Noah's sacrifice to the God of Heaven upon exiting the ark after the Flood. The Supreme God Shang-ti 上帝 has always left himself a witness from the very beginning to the present day so that we might come to know him personally. He has never ignored nor forsaken the Chinese people. He is the sovereign God who has created all things, and has made the Chinese the most populous people group in the world. God must love the Chinese very much! Throughout our history, we drank from the river of God's abundant blessing. The famous Chinese proverb 飲水思源 literally means "when you drink water, remember the source". It is time to acknowledge the true source of all our blessings in the eternal God Shang-ti. Will you return to your roots now in the Eternal God, Shang-ti? Shang-ti sent His one and only begotten Son, Jesus Christ, to die on the cross for your sins and mine.